Welcome once again to the another installment of the One Week Later Report. This week we’ll cover the books released on 10/10/2018. 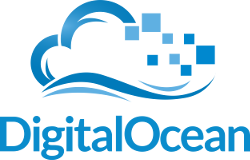 A friendly reminder that we have some great contests going on currently. Doesn’t take much to enter to win some free stuff. We are giving away a signed copy of God Country and over at LegosHeatingUp.com we are giving away the NYCC Exclusive Minimate Figure. First up is the $10 book that most retailers likely didn’t go heavy on due to the cover price. 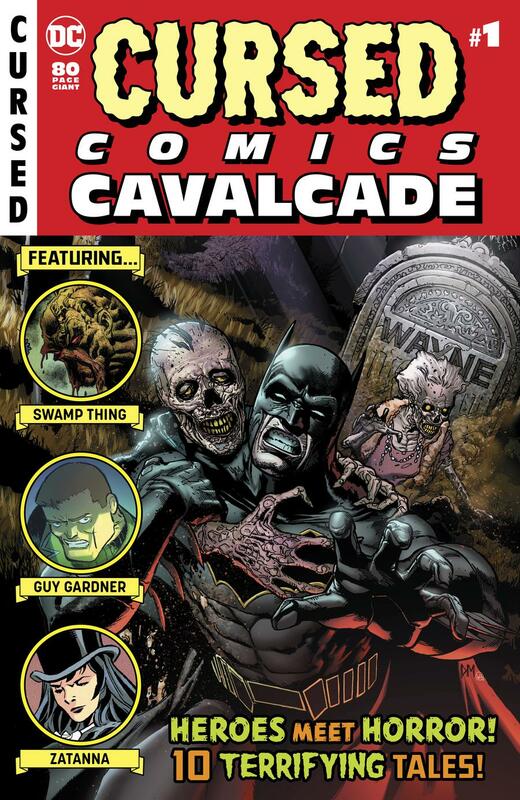 that goes to Cursed Comics Cavalcade #1 which we saw quickly rise to be a solid $18-$20 book. At the time of writing (on a lazy Sunday afternoon), it’s still a $18 book on average. There was a single sold listing for $39.99 back on October 10th which I’m sure that buyer is regretting since Midtown got restocked with available issues by Saturday October 13th and a mention when there was just 10 issues left around 3:20PM CST on Sunday. Red Hood Outlaw #27 Cover B Variant Yasmine Putri Cover was a quick flip book at best. It quickly jumped to around $15.99 with most offering free shipping. 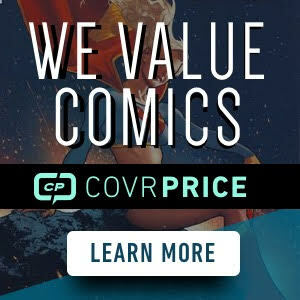 It’s since dropped down to settle between double cover price to $10. Seems some sales were throwing in issue #26 as well for a quick $20-$22 flip. Probably those trying to dump off the previous issues they couldn’t sell individually. 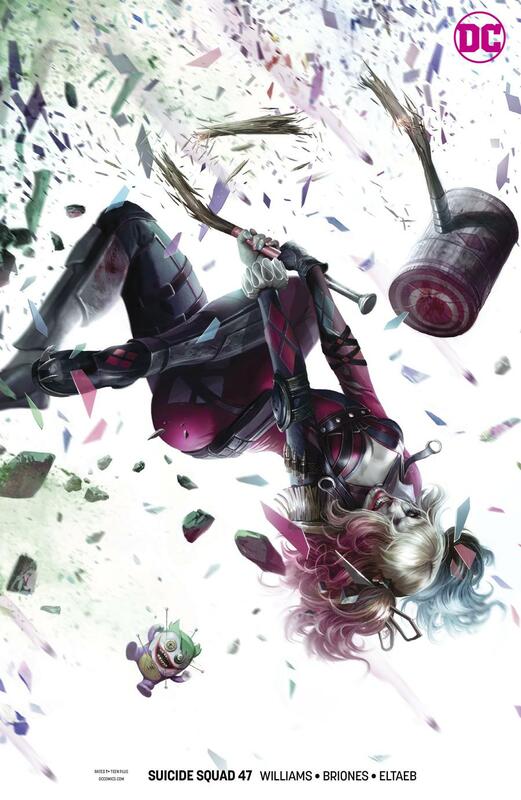 Mattina now doing Harley covers for Suicide Squad has seen some major success. Suicide Squad #47 Cover B Variant Francesco Mattina Cover is another book we saw jump in price on the secondary market. Some sales above $20 but a majority of them were multiple copy lots, this quickly settled in becoming a $10-$15 book on average. As the hype dies down some and people get the copies they want for the personal collection, I can only imagine this book will continue to drop but if you see some out in the wild, not a bad pick up. Wonder Woman #56 Cover B Variant Jenny Frison Cover (Witching Hour Part 2) was another book that saw success in doing two cover lots, either with cover A or the Justice League Witching Hour Federici cover. A few sales bumped this around the $15 – $20 mark on average but the most recent sales are now $7-$9 range. 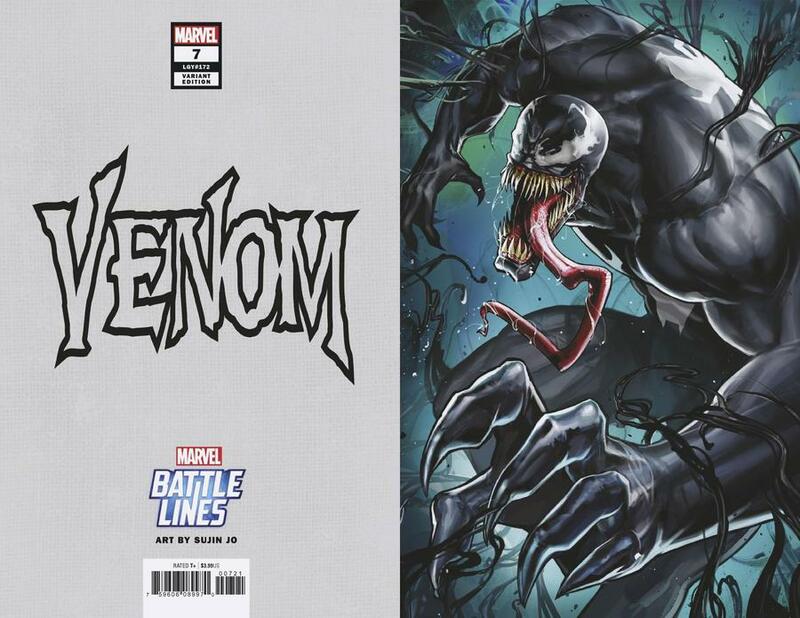 Although it’s mostly sold out online at most retailers, Venom Vol 4 #7 Cover B Variant Sujin Jo Marvel Battle Lines Cover didn’t see much heat. 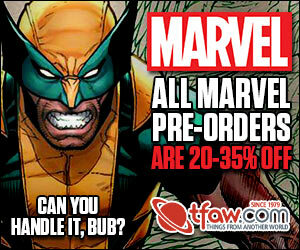 So if you missed out, you can likely find this for cover price or slightly over cover price. It’s definitely one of those books any Venom fan likely wants in the personal collection. Ben Reilly The Scarlet Spider #25 is seeing no love. This is another book that’s sold out at most retailers but on the secondary market is seeing no real action or movement. Probably sold out at retailers since it has a smaller reader base. But I really dug the cover art but since nobody reads this book, that’s likely a good hunch on why no one is jumping on this book. 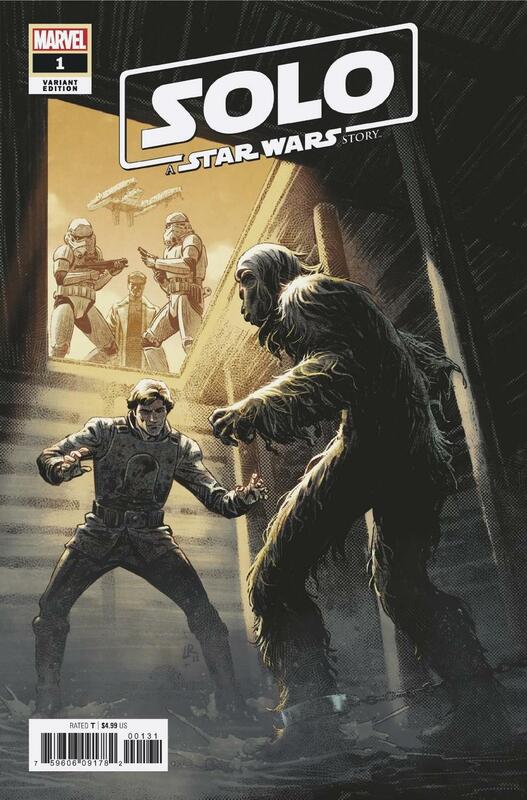 A surprise winner is Solo A Star Wars Story Adaptation #1 Ross Variant . This was a higher ratio variant but with most retailers selling it for around the $25 range, this turned into a flip of $50 to $80. With only a handful of sales and only 2 found listings currently, this might be one of those ghost variants Mel talks about that will be impossible to find later on. So if you can nab a copy, buy it I say. 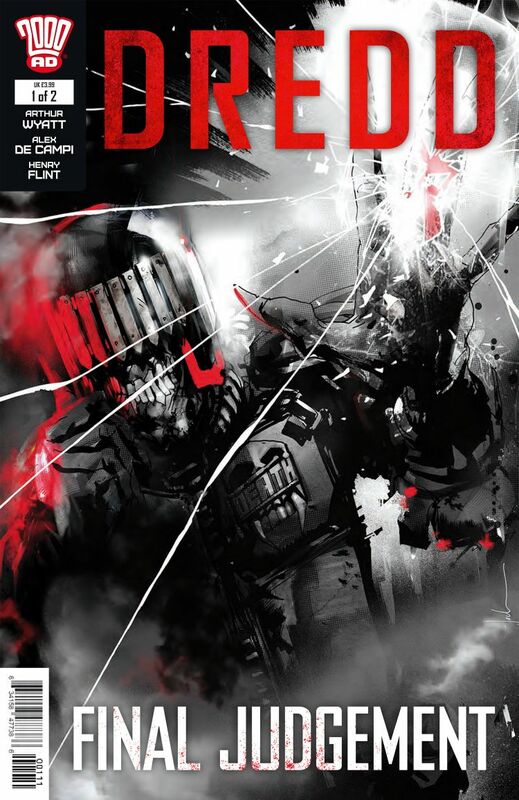 Dredd Final Judgement #1 was sort of a surprise, likely due to the Jock cover art. I actually picked it based on the fact that it’s Dredd (I’m a fan), I didn’t even realize it was Jock until after the fact. Even Midtown still has the wrong cover displayed for their listing. But this is an easy $25-$30 book from most recent sales. Tuck this one in the win column. The heat might stick around for a bit but should die down when the fans get their copy for the personal collection. We saw this same type of heat with Dredd Underbelly a few years back. It heated up, died down but surprisingly is now a solid $40 book. So if you find one of these Dredd’s out in the wild, pick one up. It’s possibly that quick flip for those wanting to dump immediately and still holds that long term hold potential. Elric The White Wolf #2 didn’t see as much success as issue #1 did but it’s still a strong $10 book on average. If you can find these for cover, might not be a bad pickup for a quick flip or possibly long term hold as Elric’s been around for a while and future collectors could seek these out. These Savage Shores #1 is seeing some pretty decent success. One of Vault Comics latest releases. These are easy $10 to $15 flips for most sellers but with 18 currently listed all around $10 or more, one would have to undercut to make the quick sale. It’s been a while since we’ve seen Vault with a successful book. Seems like the last time we saw a decent one was with Failsafe and if you go back a bit further was with Heathen . These savage shores was a really good book as well. Hope it gets some love. I haven’t read it but didn’t get a chance to pick it up either. Probably wait for the trade to read. The ending of issue 1 was awesome. I don’t know how they’re going to beat it in issue 2. If you like horror is this is your book. Agreed, this was a fantastic first issue with quite the ending. I’m a sucker for titles developed around Historical Events (that’s the history teacher in me!) so this was on my radar from the moment I saw East India Company in the description. And it certainly delivered. Really looking forward to issue 2 and beyond. Yeah. They sold out quick when I posted on Sunday that Midtown had them back in stock. My LCS got about 10, but they were all dinged on the spine hard. So, he reported them damaged and got 10 replacements today (books in southern Indiana were late due to a UPS problem). Gave me one of the good ones to replace the one I had already bought, and another one for good measure! I had a busy week last week and didn’t get any of these books. Shoooot…. I love the write ups each week great work! At this point it’s almost a no brainer to pickup a majority of the cover Bs from DC. I have all of Mattina Suicide Squad & his BATMAN covers so far. Do you think his Deathstroke 37 cover might heat up since the art was released so late on Monday right before FOC? Possibly. The Mattina and Middleton covers for DC are all hit or miss. If retailers ordered enough or if they just “pop” with fans and collectors. See Anthony, you got me saying “pop” now for things..
Found a Cursed Comics, two Red Hood 27, two Suicide Squad 47, one Wonder Woman 56, and the Venom 7 out in the wild it was a good day! I actually ventured out to the shop last night and scored a Venom Secret Variant as well. First time to the shops in weeks.